Offering custom promotional items and corporate incentives is challenging. You need to find an item that employees and/or prospective customers actually want, but you also need to find a promotional item that delivers real value — which is what makes Custom Beats By Dre one of the best promotional items and incentives a company can choose. It checks both boxes: 1) Custom Beats are something that anyone would want, and 2) These are high-quality products that reflect well on your brand and that deliver the value you need. Successful promotions and incentives are all about engagement. If your prospective customers don’t want the item you’re offering, they aren’t going to opt-in to the promotion. And, if your employees don’t want the item you’re offering, they aren’t going to participate in whatever you’re incentivizing. Custom Beats headphones take care of both issues. These are headphones that your customers will want to get their hands on and headphones that effectively incentivize your employees. Custom Beats aren’t the only item that checks these important boxes, but they do represent one of your best options when searching for the right promotion or incentive. You can find off-brand versions of almost any promotion or incentive item. These off-brand items are tempting, too, because they seem to deliver value — at least at first glance. But choosing these off-brand promotion and incentive items is a huge mistake for a simple reason: They generate a fraction of the interest you generate when choosing a known brand. Think about it this way: What if you were giving away a tablet? You could save money by choosing an off-brand tablet that costs a fraction as much as an iPad. But, that said, you would generate exponentially more interest by choosing the iPad over the off-brand tablet. The same holds true of headphones. You can find cheap knockoffs, but you’re going to get a lot more interest (and a lot more value) when you choose Custom Beats By Dre as your promotion or incentive item. Anytime you customize an item with your own logo, you want the recipient to keep that item forever so that your brand is constantly staring him or her in the face. Have you ever been to a large expo? Expo halls are full of cheap giveaway items that are picked up by attendees and deposited in the garbage less than 24 hours later. That doesn’t do anyone any good. That’s not the case with Custom Beats By Dre. These are not items that are going to end up in the trash anytime soon. And that’s the real value when you invest just a little bit more in a promotion or incentive item: Your brand carves out a long-term space in the life of your target audience. This isn’t a hard and fast rule, but: The more you invest in promotion and incentive items, the longer they are likely to be kept by the recipient. It’s a little bit like replacing a fence. You can save a little bit and use lower-quality materials, but you’ll be replacing that fence a lot more quickly than if you spent more for better materials. Choose a known, quality item like Custom Beats By Dre, and you ensure that recipients will keep them far longer than other items. Just to reinforce point No. 3: Custom Beats Headphones By Dre meet the highest quality standards in the industry. Yes, you may spend a little bit more to secure Custom Beats for your promotion or incentive, but you get what you pay for and then some. Have you ever used off-brand headphones? It’s as if they were designed to self-destruct in a matter of months, if not weeks. The wiring isn’t durable, the connectivity is spotty, the sound isn’t quite right. And then you find that the headphones themselves start to deteriorate way before they should. Sound about right? That’s what you get when you choose promotion and incentive items on the lower end of the quality scale. And here’s the real secret: Whether you mean it to or not, the quality of your promotion and incentive items is perceived as a reflection of the quality of your products and services. Let that sink in before you opt for off-brand headphones. Solo3 Wireless Headphones (as low as $271.99): The Solo3 offers 40 hours of battery life and an incredible Fast Fuel feature that charges for 3 hours playtime in just 5 minutes. The Solo3 headphones are comfortable, too, featuring adjustable on-ear cups for the ultimate in all-day fit. BeatsX Earphones (as low as $181.99): Get clear sound and up to 8 hours of battery life with the BeatsX, which are perfect for someone on the go. Use various ear-tip positions for the ideal fit, and enjoy a smaller size that allows the BeatsX to fit right into your pocket. Studio3 Wireless Bluetooth Headphones (as low as $321.49): The best of the best, the Studio3 headphones offer pure adaptive noise cancelling and real-time audio calibration for the ultimate listening experience. The Studio3’s Fast Fuel feature creates 3 hours of playtime in just 10 minutes. Powerbeats3 Wireless Earphones (as low as $186.29): Get 12 hours of listening on a single charge when you select the Powerbeats3 headphones. Secure-fit earhooks and sweat- and water-resistant construction mean that these headphones are both comfortable and durable. urBeats3 Earphones with 3.5mm Plug (as low as $94.85): The urBeats3 headphones offer an ergonomic fit for comfort and a fine-tuned acoustic design that creates an outstanding listening experience. Use them while running or otherwise active, too, thanks to secure-fit wingtips. EP On-Ear Headphones (as low as $141.28): Get precise and tuned sound when you choose the EP On-Ear Headphones from Custom Beats By Dre. Vertical sliders make fitting fast and easy, and stainless steel construction means long-term durability. No matter what you’re wanting from promotion or incentive headphones you’ll find it given the many options in the Custom Beats by Dre selection. As you look at the various options listed above, you’ll find that you also enjoy a range of price options. If you’re looking to invest more to get more out of your promotion or giveaway, you can do that. If you’re working with a tight budget but still want the strong brand and quality that Custom Beats by Dre deliver, you can do that, too. It’s completely understandable that different companies are working with different levels of resources. The small business that wants to create a health incentive program through human resources is going to want a different product than the publicly traded company running a nationwide promotional campaign. And that’s OK. No matter the size of your company or the scope of your promotion or incentive, you’ll find a price point that matches your needs when you shop Custom Beats By Dre. In today’s technology-filled world, people want devices that connect to their other devices. They also want devices that connect reliably, so that there’s no time wasted in troubleshooting connection issues. Custom Beats By Dre Headphones offer the unmatched connectivity that your employees and prospective customers want and appreciate. Most include Bluetooth capabilities that allow for quick syncing with iPhones, Apple Watches and non-Apple products, too. Don’t get caught giving away headphones that are useless because they don’t connect how people want them to. Make sure your giveaway headphones are eminently usable to recipients when you choose Custom Beats By Dre. Don’t need 100 pairs of headphones? That’s no problem. When you choose companies like iPromo for ordering Custom Beats Headphones, you can order in quantities as small as 10. Yes, you’ll get a price break as the quantity grows. But, these items should be available to businesses large and small — any company that might be interested in running a promotion or offering an incentive. And these lower minimum quantities make Custom Beats By Dre available to all businesses. Are You Ready to Leverage Custom Beats? Your Custom Beats By Dre are ready and waiting for your company’s artwork. For the reasons described above and many more, Custom Beats By Dre are the type of product that can help your promotion or incentive giveaway reach its full potential. Are you ready to explore your options? 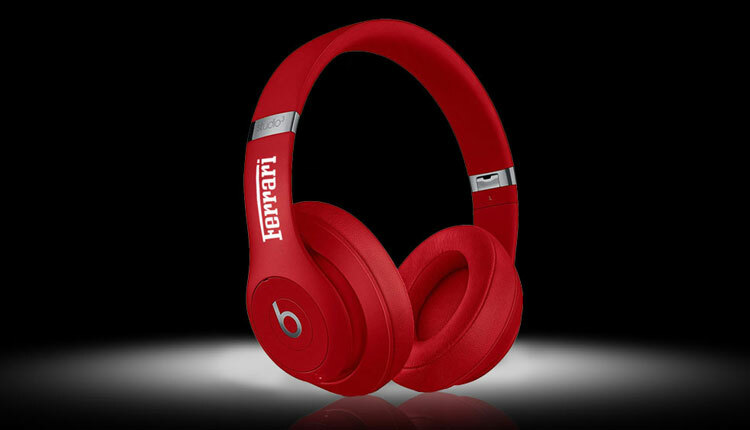 Check out our selection of product from Custom Beats By Dre.